During me being at my parents over the holidays (Christmas 2017) I had the usual IT-support stuff to do, that always happens to tech savvy kids when they are back at home. 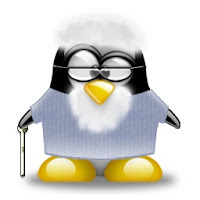 As I am a happy Linux user for over a decade now, I asked myself if it would be a good idea to switch my parents away from Win 10 to a GNU/Linux (I will call it only Linux during the rest of the post. Sorry Richard ;) ) based system. I did that and now 2 years later I still think it was a good idea: I have the peace of mind, that their data is kinda safe and they also call me less often regarding any technical issues with the system. (Yes, Win 10 confused them more than Ubuntu does). In the following I would like to describe this ongoing journey and how you can follow my example. Please keep in mind, that this setup is my very own solution and it is likely, that you need to tweak it to your needs. Disclaimer: I do not care about “FOSS only” or something. Background about my parents computer usage: They mainly use their machine for email and web stuff (shopping, social media, online banking,...) and are not heavily into hardware intense gaming or so. As my parents already used a lot of Free Software as their daily drivers (Thunderbird, Firefox) I did not had to do a big preparation phase. But still I switch them (still on their Win 10) to LibreOffice so that they could get used to it, before changing the whole system. Try to not overwhelm them with to much new interfaces at once. Use a step by step solution. So first of all, keep them on their current system and help them to adapt to FLOSS software that will be their main driver on the Linux later on. So your parents now got used to the new software and that will help you to make them adapt easier to the new system, as they now only have to adapt to the new OS interface and not additionally also to a lot new software interfaces. On top of that: The Ubuntu community multilingual and open for newbies. 1) Chalet Os as it was promoted as most lookalike to Windows. As it is based on XFCE it is lightweight, but the icons and styles differ all over the UI. So you get confused because the settings icon always looks different, depending where in the system you are. 2) Elementary OS because I love the UI myself. No clue why, but my parents never got warm with it. It is just a bit to far away from what they are used to. Sit down with your parents and ask them, what data the need from the old system and copy only that over. Hereby you clean up the file system by not copying over the old crap they did not use for ages and if they find out later, that there is more data they need it is stored on the backup drive. After the configuration and setup is now complete you need to allocate some time for introducing them to the new system. You know you parents best so do it in the way the like it. Linux does always ask you for your password if you are doing something that could deeply harm the system. So I told my parents: Whenever that dialog (I showed it to them) pops up, they should keep in mind, that they could destroy the whole machine with this operation and if they want they can call me first. Backups! As it is really easy with Linux you should do a automatic daily/hourly backup of their complete home folder. I use borg for that. (I plan to to write an in-depth blog post about borg in the future, it will be linked here if it is done). So now, whenever my parents call me and tell me that they deleted something or that the machine does not boot anymore I can relax and tell them, that we can restore all there data in a matter of minutes....you can't image how good that makes me feel. It is not FOSS, but I did install google chrome as it was the easiest for watching netflix and listening to spotify. I would recommend installing some privacy plugins and stuff into the browser your parents use, so you get them even safer. If possible activate the automatic update and installation of all security updates. For me the switch made a lot of sense, as my parents are not heavy technical users of there systems. Should yours be into Photoshop, video editing or gaming I do not think it will be so easy to do the switch over, as Linux and its software is still not a good competitor in this areas.